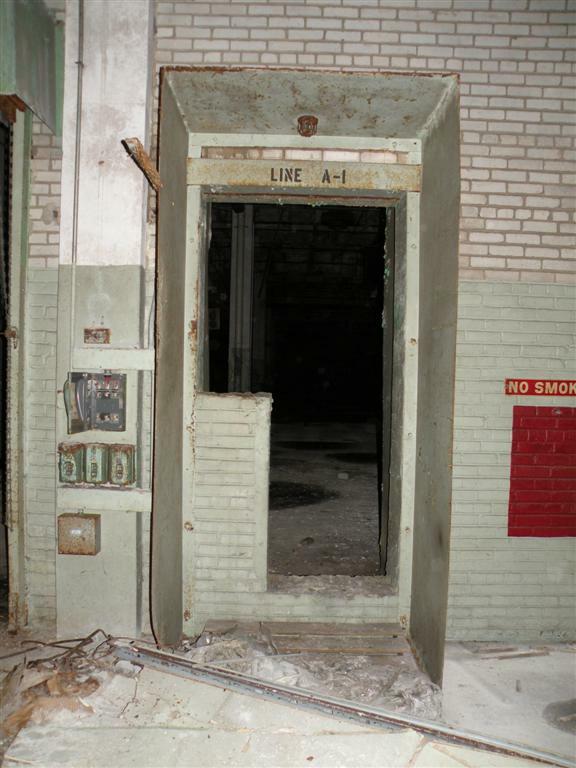 Well this past Sunday I got a chance to walk around in the 1966 Bottling house again and take some pictures of what is left of it. Here are a few. 4. Start of Old Line A-1-F Line which was a early coputer operated line that could do 40,000 bottles a day and even box them! I took 36 pictures so I will be posting more soon. It is sad how bad the place has gotten the vandels are destroying everything they can. I also got some shots in the sealed room they made Antifreeze bottles in on my trip in and spent about 3 hours in the plant just looking around and remembering. What good days those were. I am once again very fortune enough to have a friend I met about 3 weeks ago on line that has some Publicker Pictures he has sent me. And here are a couple of very cool ones. 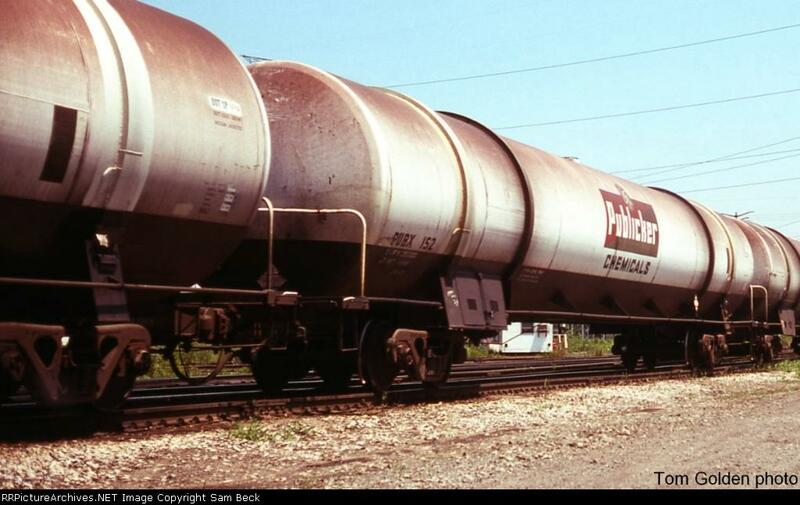 1 Publicker rail tankers of the type that brought Whiskey to Kinsey when I worked there. 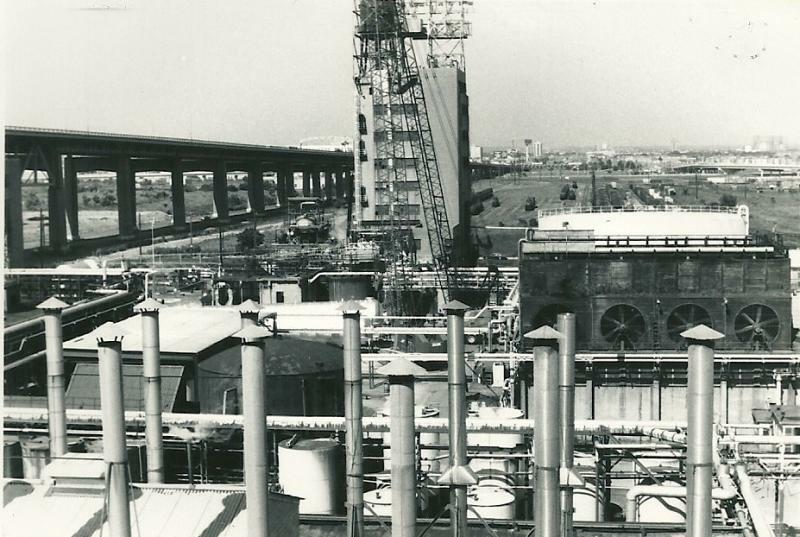 5.through 8. are of the 2 Gasahol distilliation colume's that Publicker bought in 1976 from Dupont to be put on the AA Acetic Acid Plant right next to the Walt Witman Bridge pictures show the colume laying there and its progress going up. How I remember the Old tankers with the Name Publicker coming into the plant I was so dam proud to work for a great Company like Publicker at my age. Most people I went to school with ended up on horrible jobs to start out but I was lucky enough to start at Kinsey at Age 19. Loved the pictures. Thanks, Dave! 1. 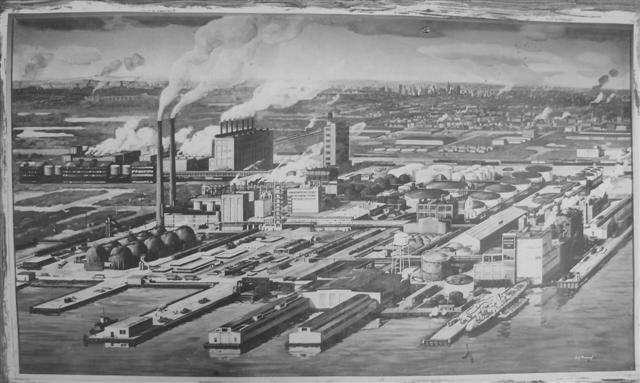 Wood and brick warehouse H this was the last warehouse built by Jacob G Kinsey in 1936 and it is pictured in the 1936 Aerial Photo being built. 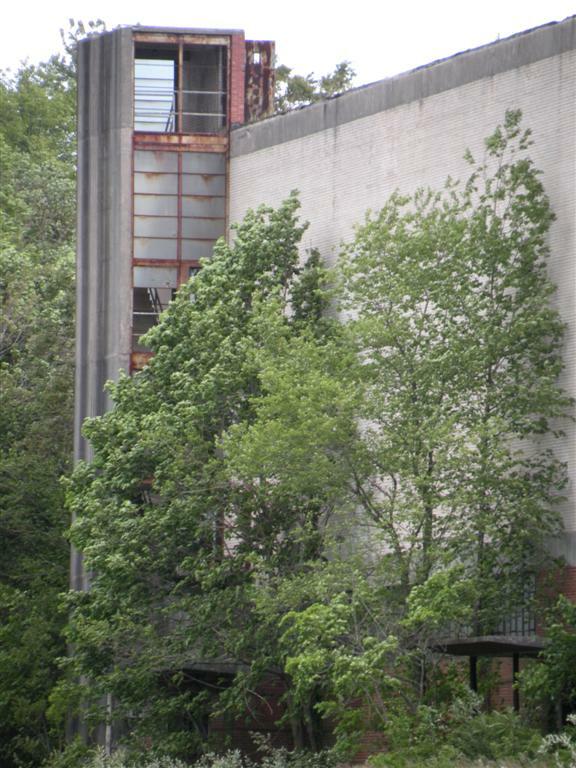 2. looking up from the back of the 1966 Bottling house at the back Of O building the government Building and warehouse. 3. 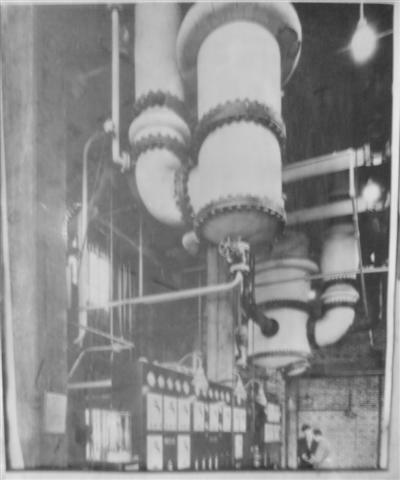 An old time Sub station with big power meter on it. it was here vandels lifted a 400 pound manhole cover and crawed down in to get wires..
6. 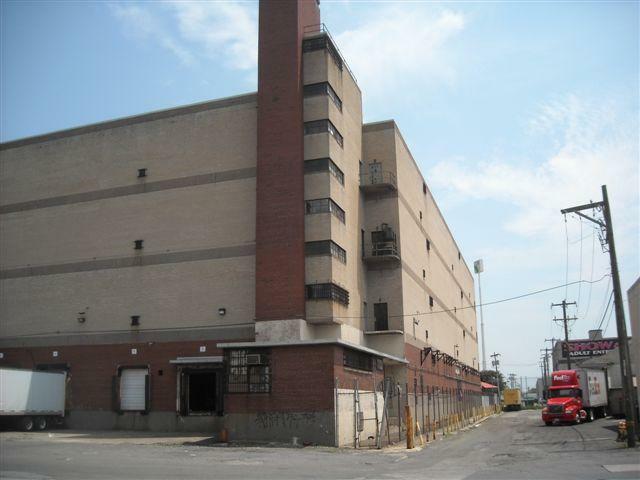 The one of a kind Fire escape on warehouse O because of its multipul uses including being the Government Building. 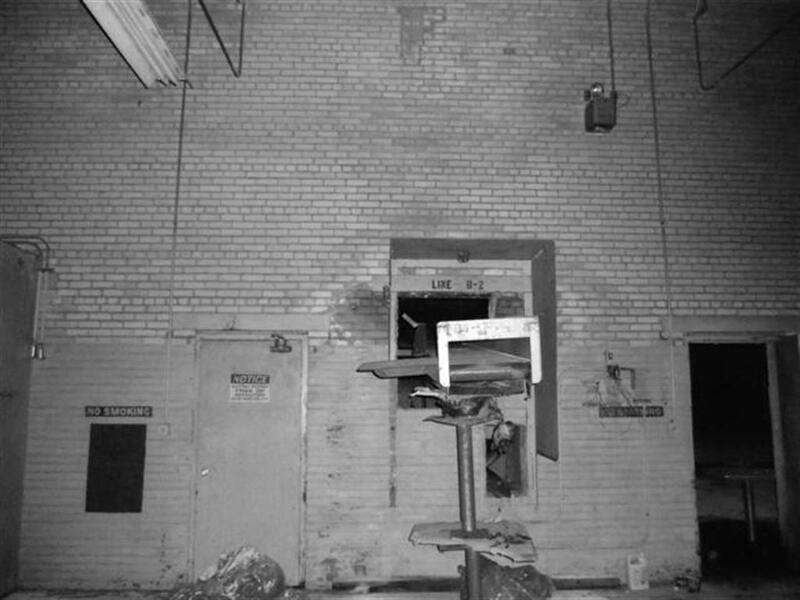 12 of the 14 warehouses had the exact same type fire escapes O & Q had differant ones each Q having the Fire Observation room. 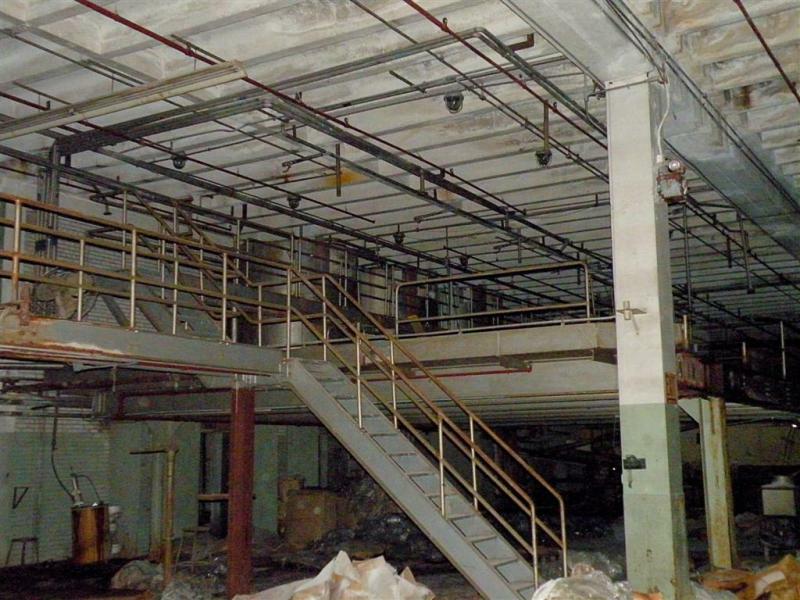 Also O was the only one with its front stairwell being differant from the other 13 of them. It was a cool and nice walk Sunday with breezes from the river like in days of Old and I always hate leaving Kinsey. Sunday I took a walk in the cool breezes at Kinsey and remembered the good old days of the place. The bottle house was the one thing that made Kinsey the amazing Place it became all the 13 years it operated bottling spirits. In Sept 1966 it was because the Bottle House opened that I got my job at Kinsey. 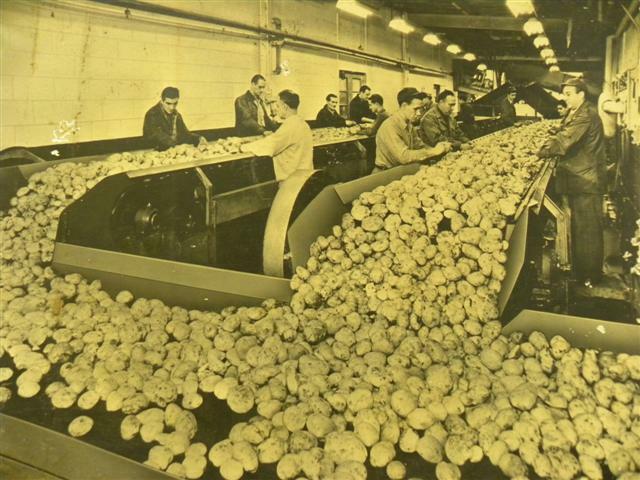 Altogether there were 600 people working there in 1966 500 + in the bottle house. Kinsey was a show place with the flower beds I worked on in the yard gang and the dandylion free Lawns. 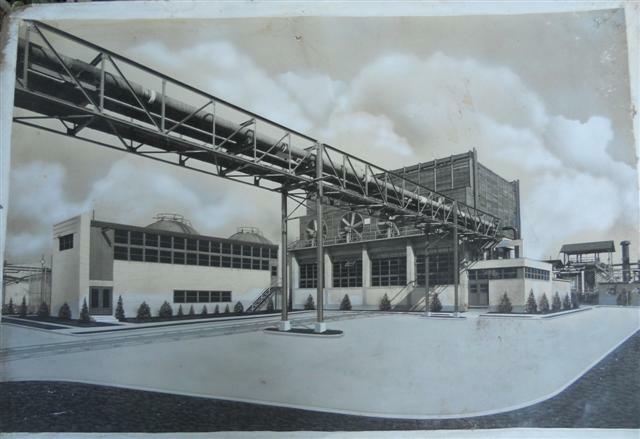 We had the most modern bottling house in all the world there in 1966 and the worlds largest one. In the next few days I am going to dig out more vintage paper work I have saved from the plant and post it. 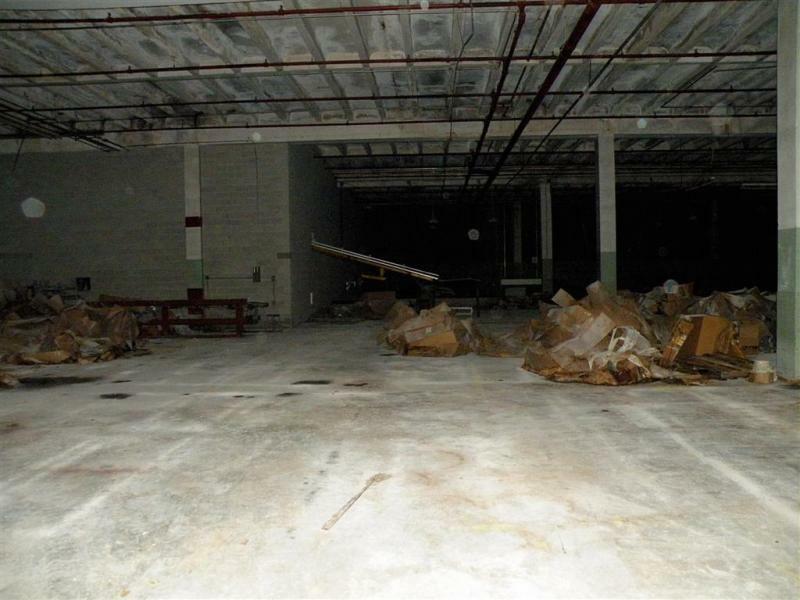 I remember well are teams in the warehouse when on dumping duty. Some would pull numbered the lots of Barrels and others would dump them, and if there was no dump trough they would be hauled on the 1941 Ford flat trucks to warehouses with troughs where they would be dumped by another gang that would unload them and dump them. The Old trucks could only haul about 8 to 10 barrels a load and would be flying back and forth getting barrels,in my mind I can still hear the old Flat head Ford motors roaring. We would roll them on against each other then put a block of wood to hold them. I can on!y remember one time any fell off and amazingly it did not break! Rolling the barrels was hard work with being bent over and the best job was in the racks rolling them out. That was my favorite, or of course driving one of the old ford trucks. It seems like yesterday and yet times are so differant today I would imagine people would not even want that type of job. But We loved it and we made Darn good money working there with good boss's and great benifits too! The Mellow made With Kinsey Kind! Today I have some One of a kind pictures to post here and on the memories thread. 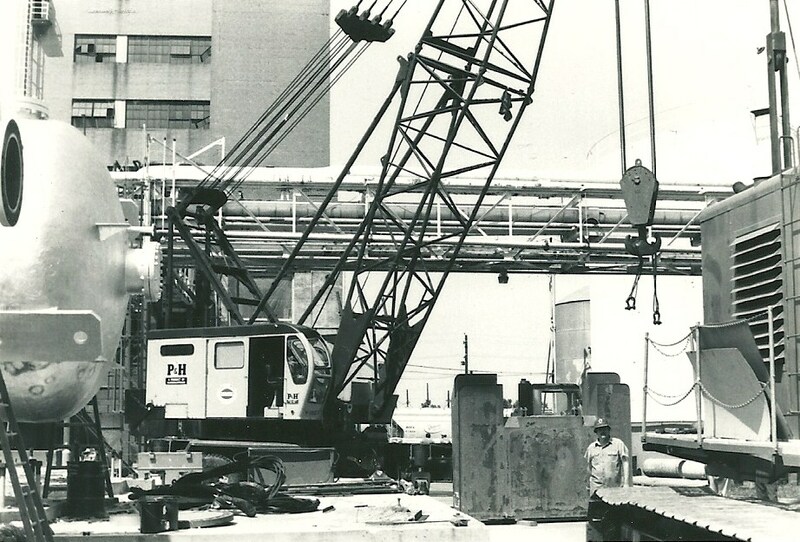 my friend Butch who worked for Publicker at the Snyder Ave Plant has sent me some awesome history pictures from publicker. 1. 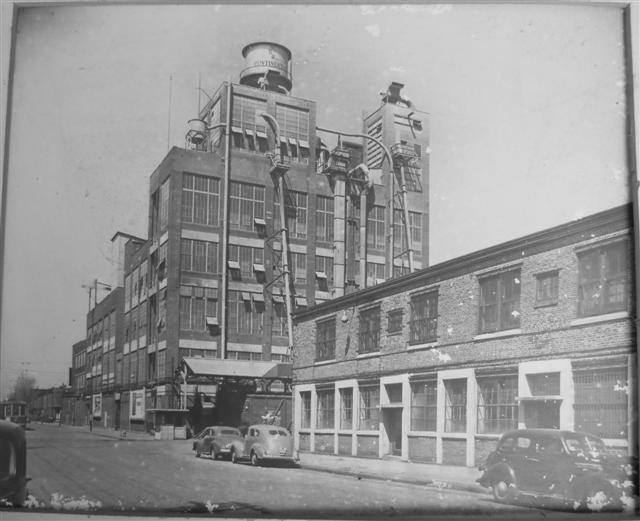 The Old Snyder Ave Bottling House operating this picture inside was taken in 1933. 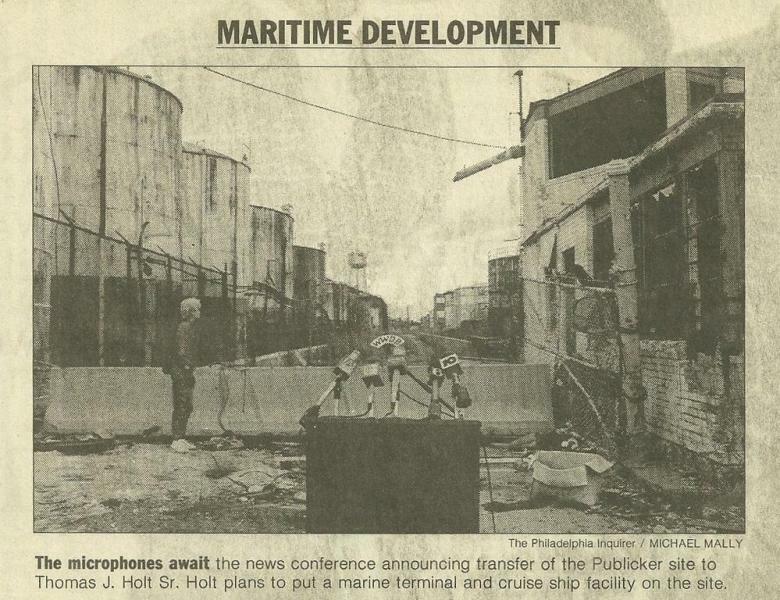 It was located on the south side of Synder Ave in the Phila plant. 2. 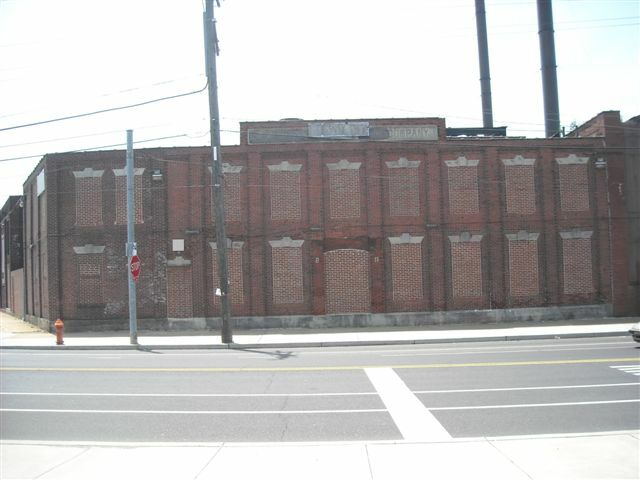 Here is a picture of The South phila snyder Ave bottle house Building. This was replaced once the 1966 Bottle house opened in Linfield at kinsey in Sept 1966. 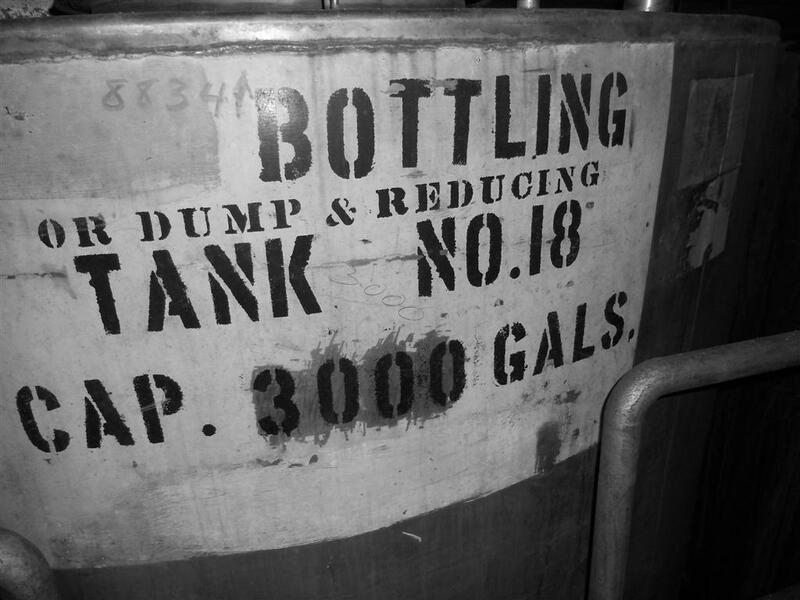 The Linfield Bottle house bottled spirits for 13 years closing in 1979 to be converted to a home products and Antifreeze bottling house before closing forever in 1986. 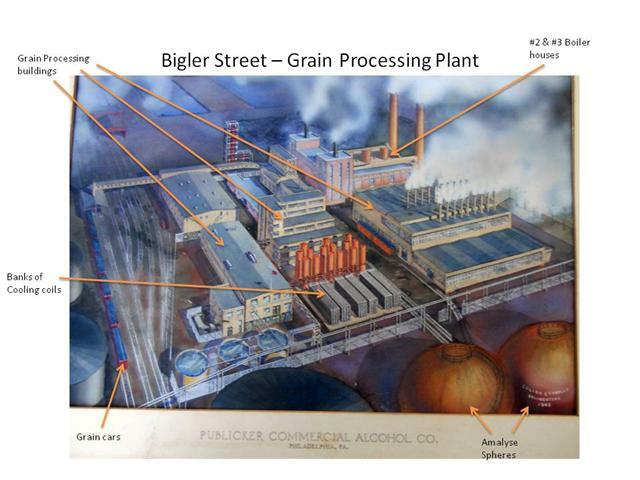 I thought the best place to post these two was here since the Bigler Bottle House was long before the One Continental Distilling built at Kinsey. The mellow, made With Kinsey Kind! 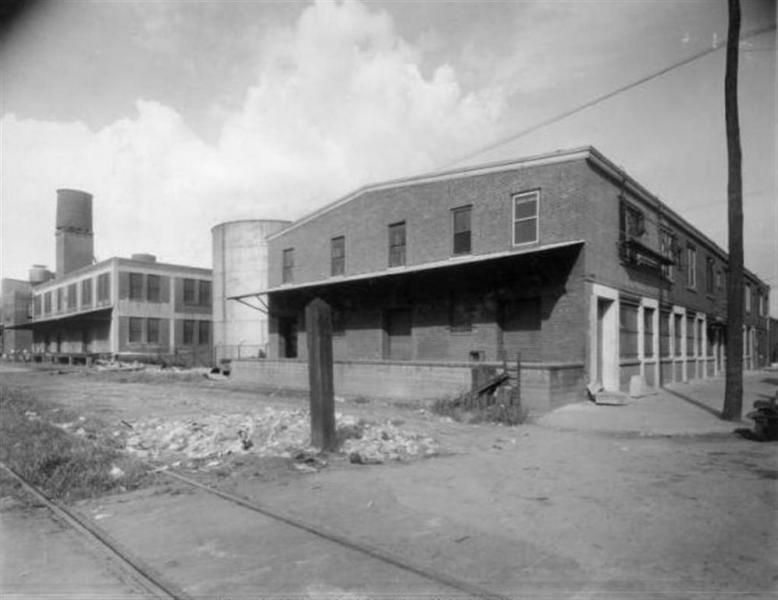 Here are 3 Pictures of 2 surviving Buildings In Phila that were part of Continental Distillings Plant given me by My Friend Butch who worked 10 years for Publicker in Phila. 1. Still Standing on Snyder Avenue this is a picture of Continental's first Bottling House the Snyder Ave bottle Plant. 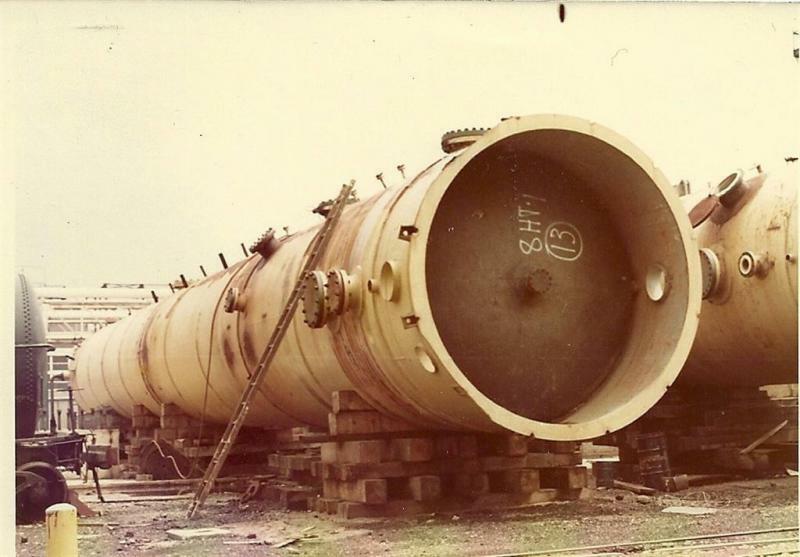 After it came the Bigler Street Bottle House and then the Big 1966 Bottle House at Kinsey in Linfield,Pa. 2. & 3. 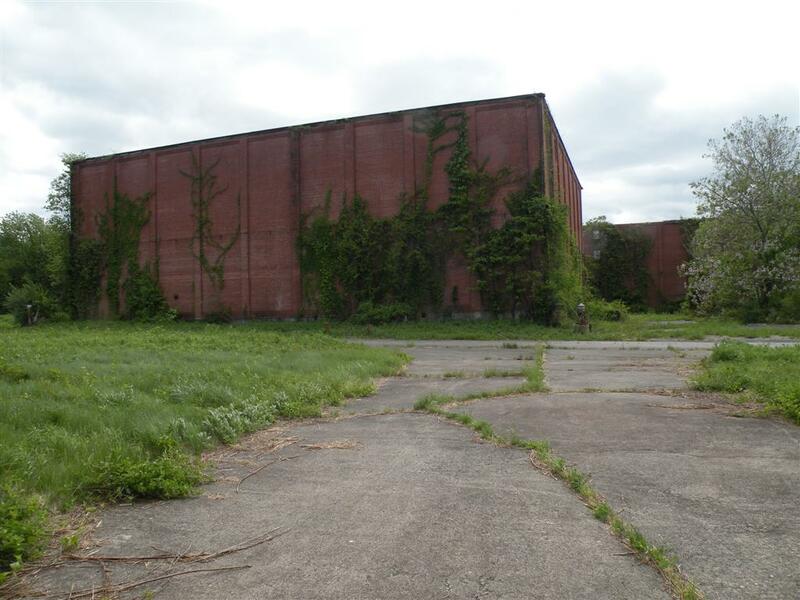 Are The Giant Continental Distilling Barrel Warehouse it has the look of the the Kinsey Warehouse's with a differant shape. 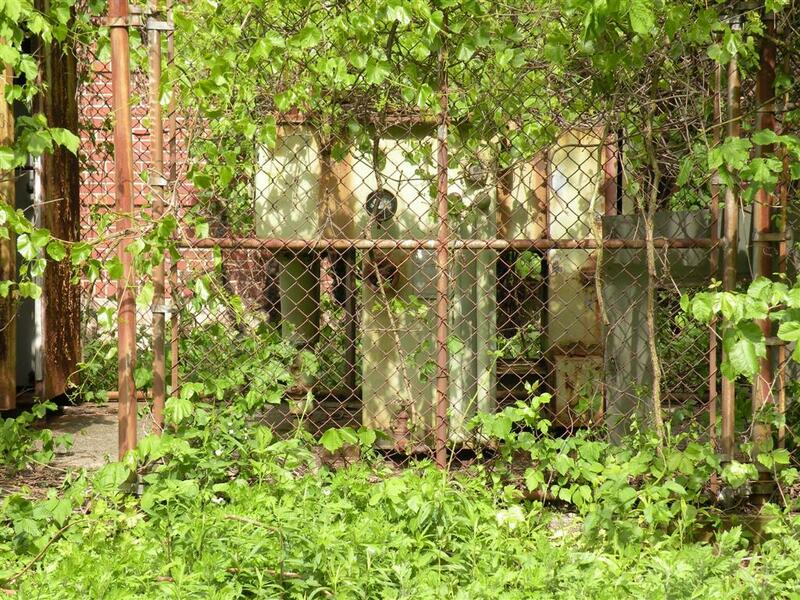 These are still standing and being used and are about all that is left of the Publicker Complex if He knows of any others I will post them. 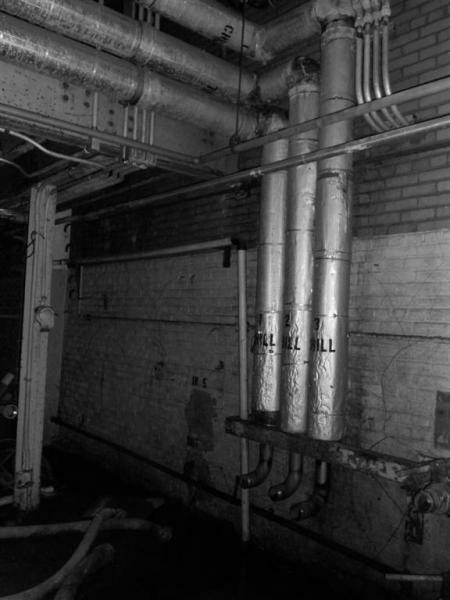 Looking at the walls of the Barrel warehouse it has the same type of air circulation fans as the ones at Kinsey had. Wish I knew how many barrels it held in its hayday! To this day I still think our Old School style of Whiskey is so much better then todays. 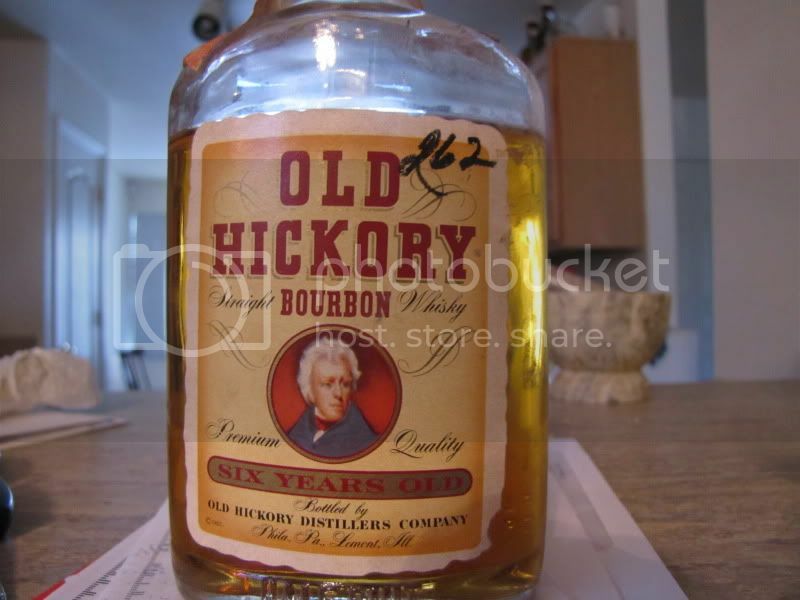 When I sip my Old Hickory 86-10 yr and my BIB County Fair they are so differant then the new stuff I drink it is like Night and day. The Old stuff has so much of a full body and the flavors just keep working in your mouth. Their taste is just totally differant and at least for me way better. I prefer Old Whiskey to anything new no matter how good or pricey I am one of the few who still prefers Old School ways of making whiskey there is to much worring about filtering and other stuff and whiskeys today seem to have lost something special they had back in the day. I don't know what it is but I will take old Whiskey over new any day! These bottles were gifted to me from a very elderly lady who had hung onto them for quite some time. 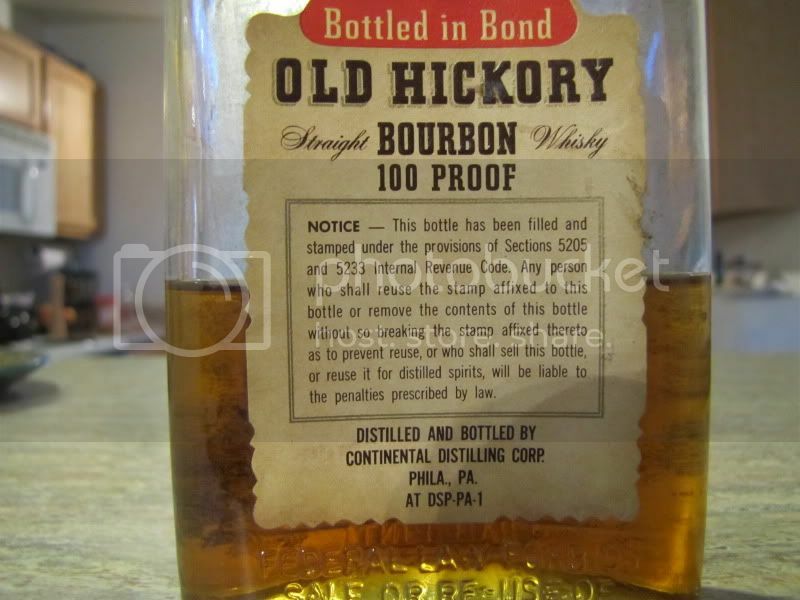 The hickory bonded was in bad shape- you can tell from the bottle that it has been soaked in something like an oil. 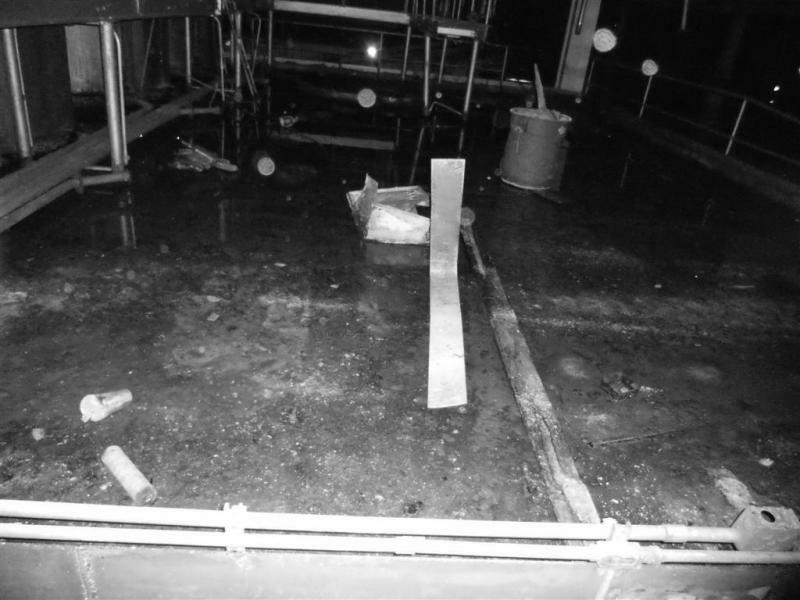 It was on its side for an extended period, and was missing almost half of its original fluid. thankfully, it was still pretty good! I was impressed. some of the notes reminded me of good turkey. However, it was very, very spicy. even the oak note was spicy, like the very wood had been infused with heat, and I don't mean alcohol heat. Absolutely stellar bourbon, so forward you have to look for what's beneath the surface. Very, very good whiskey from a lost era. The 86 proof hickory was by no means bad. Again, somewhat reminescent of something like an old #8. However, if it was allowed to sit in the glass for long enough, a metallic (aluminum, cut penny) note would come up. 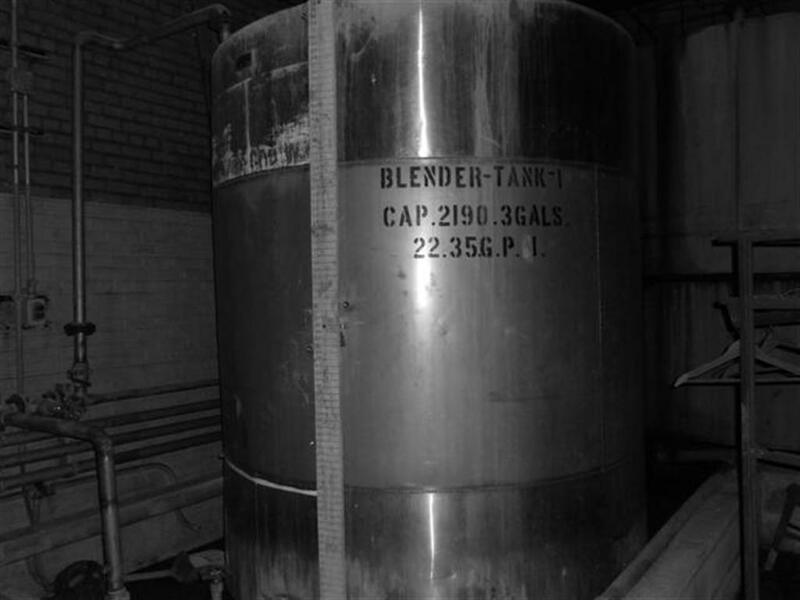 I don't know if this was a by-product of distillation, or simply because it had sat for a very, very long time. The bonded is dated 1954-1965, while the 86 proofer shows a 61 on the bottom of the glass. very cool bottles, and I'm glad I had a chance to try them. Sandy I Just Love to write and remember Kinsey and Continental I wish everyone here could have been there for just one day to see what a great place and what a great Company. And Yes I miss Nikki my Dog alot. I am glad That you and others enjoy my writtings about Kinsey and as Long as I am around I will write about Kinsey. Erich thanks for the good words about Our Old Hickory Staight Bourbon and the awesome BIB. I have never in all my Life had anyone say anything Bad about Old Hickory! I am glad that the Lady gave it to you to enjoy and I drink a toast to You and The Old hickory! 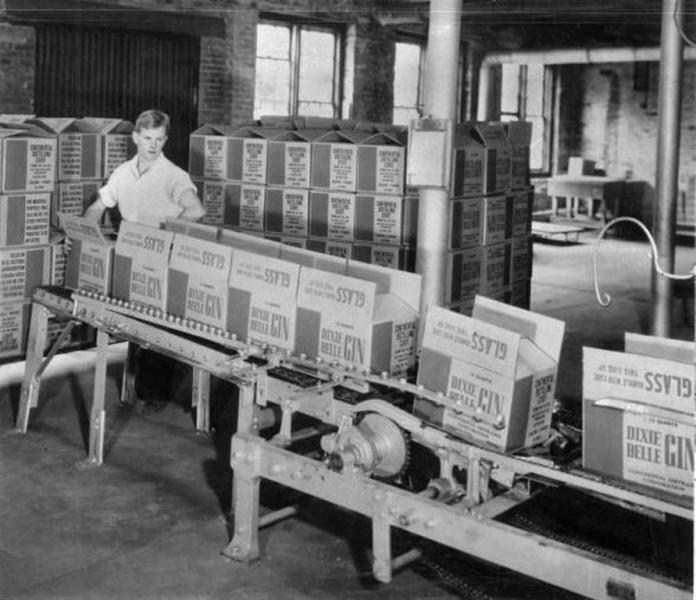 Today I am traveling back in time to Sept 1966, It was a special time then as Kinsey had hired many people to work in the plant when the New Bottling house opened. many of the warehouse workers went over to the New bottle house to enjoy being inside. The jobs in the bottle house paid more and everything in there was brand new state of Art stuff. Things like line A-1-F a early computer driven Bottle line that could do 40,000 bottles a day. Everything in the bottle house was set up for safey. 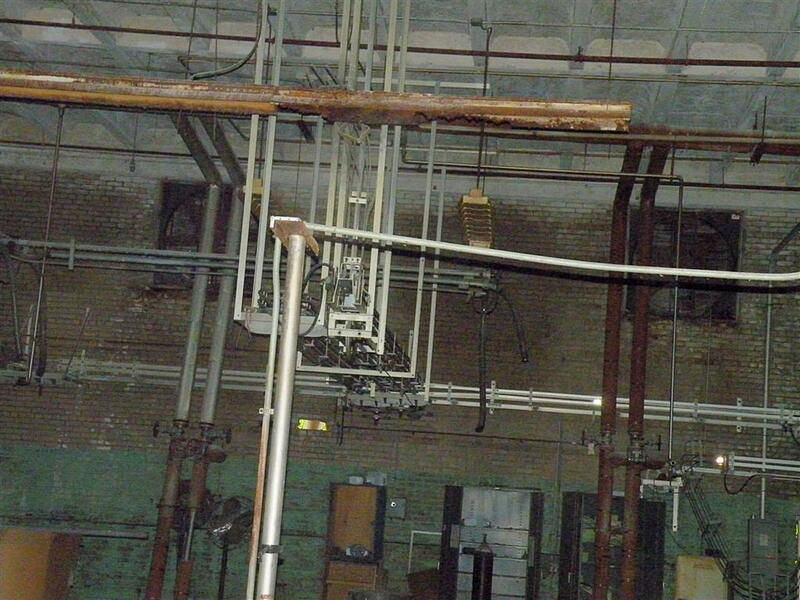 There were 11 bottling lines and we did much custom bottling for many famous Distillerys. People were well trained and no foolishness was allowed. 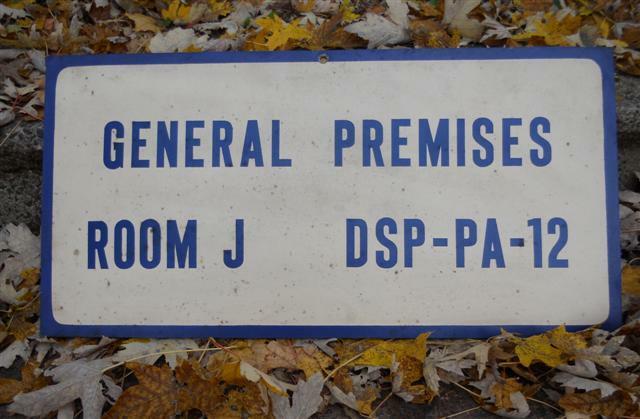 I still get a thrill when I see an old full bottle that says Continental Distilling Linfield,pa / Lemont ILL. Dsp-pa-1. Some of the Best spirits ever made were bottled in Linfield. 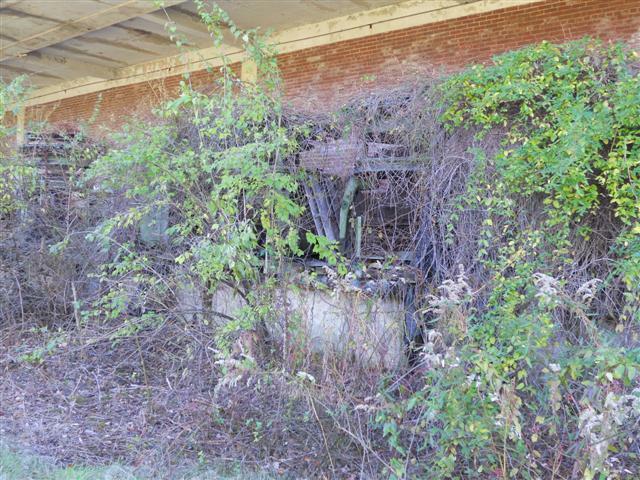 The plant for a couple of years was a rage people coming to tour it and get idea's for their own bottle house's. They were great days for me starting there in 1966 at 19 years old. Going in there now taking pictures of the ruin is surreal for me as when I left the company everything was in perfect condition and the Bottle house was very beautiful. I have thought about it and I relize I was better off leaving when I did then being there seeing it close down forever to go to ruin. I still enjoy the rare times I can talk to a former worker at Kinsey and have never had any of them say anything bad about the company. Ludy who worked his last 14 years in the bottle house as a maintaince man will be 92 this Sept and I one of the younger surviving employee's will be 63 in sept. 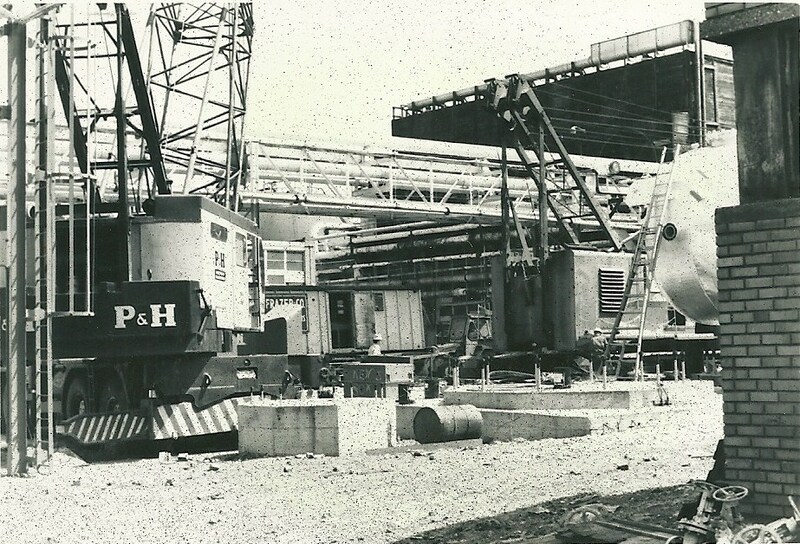 I wish all of you could have been there for the excitment of the Plant in 1966. 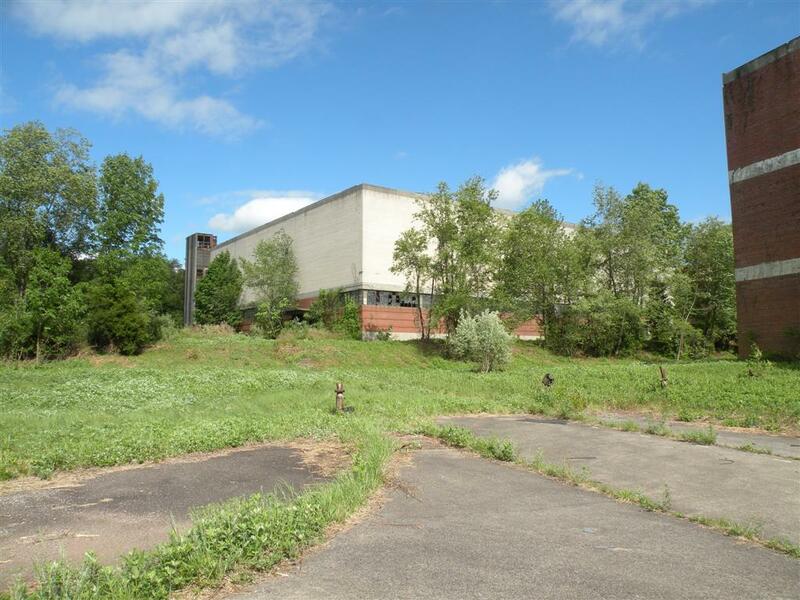 It was always the biggest employer in Limerick township. 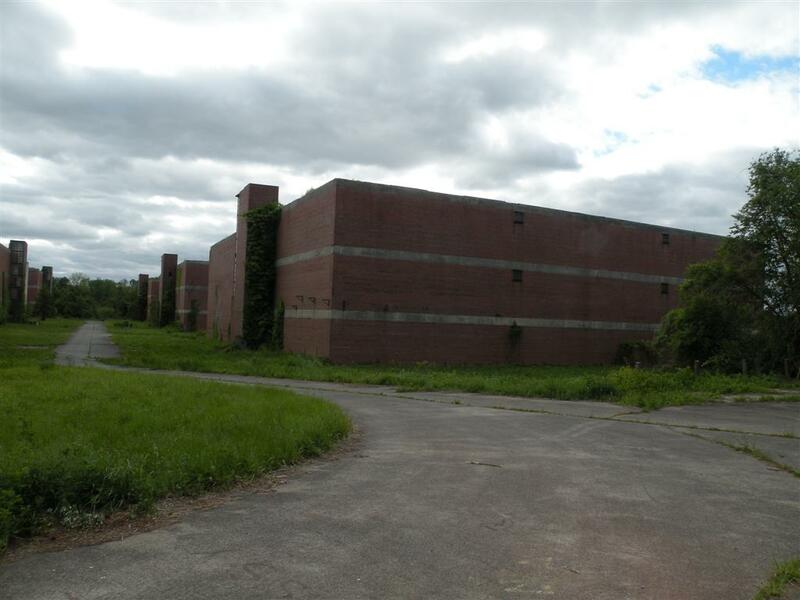 And in 1966 There were 600 people working at Kinsey and the company was a very good neighbor to the people of Linfield part of Limerick township. 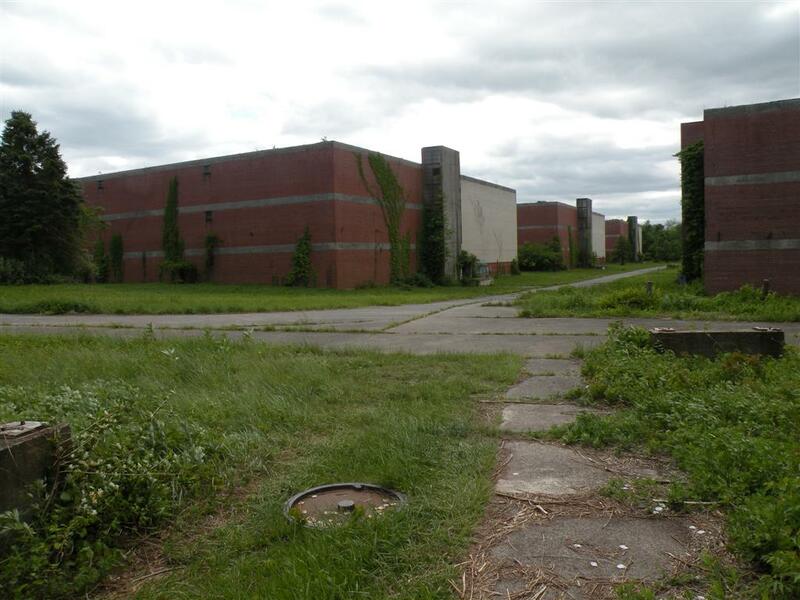 Driving into the plant you were greeted by beautiful flower beds and perfect lawns kept that way by the yard gang run by John Zuber who was a great boss. Mr Neuman did not want to see any dandylion in the lawns and the trees were well cared for too! We were mowing every week in the spring and summer we weeded pulled any dandylion and put weed killers on the lawns. We weeded flower beds and edged all sidewalks. It was like a gleaming Jewel sitting there in Linfield to this day people I meet in Linfield talk about how beautifull the place was. were The Days My Friends We Thought They'd Never End" so it is with Kinsey! 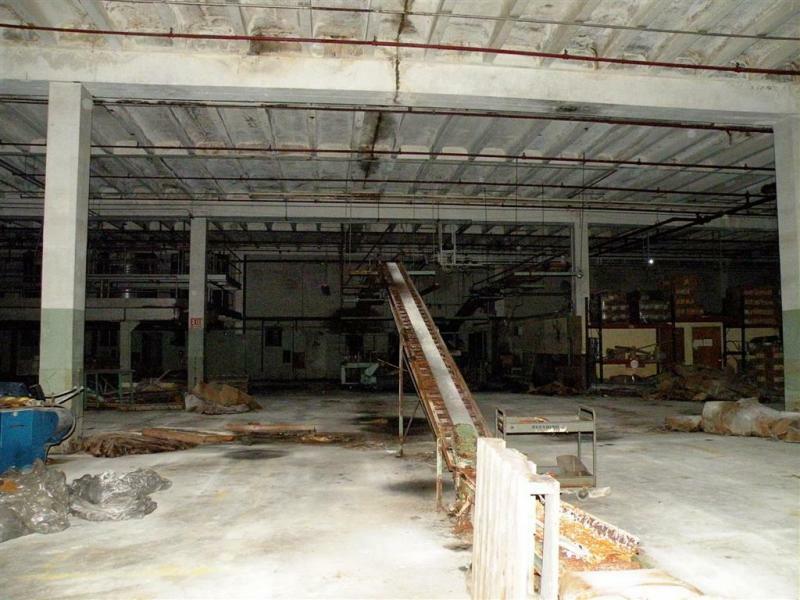 It finally rained here and I got to take a trip into the 1966 bottling house again this time taking my two new 12 Mp digital camera's. About three weeks ago I bought a only once used Nikon P-90 the next model up from my 2008 P-80 with a real 24 times zoom and also a brand new Nikon s-3000 12 mp zoom pocket digital camera with the ability to take crisp black and white pictures or sepia or color! Yesterday I took a total of 143 pictures with them and I will be posting here and the memories thread some great color and black and white shots taken in pure darkness. There is always something special about old stuff in black and white. 1.& 2. 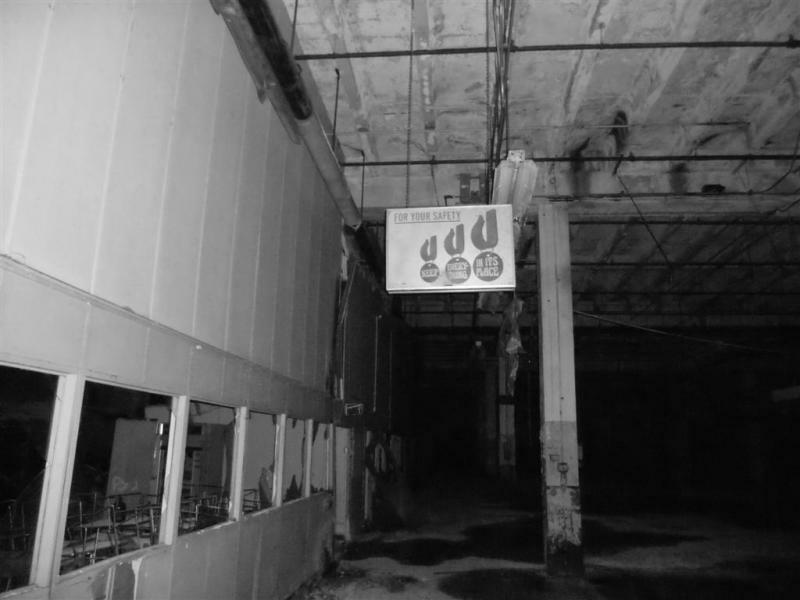 The old safety sign in the bottling house in black and white both sides. 3. 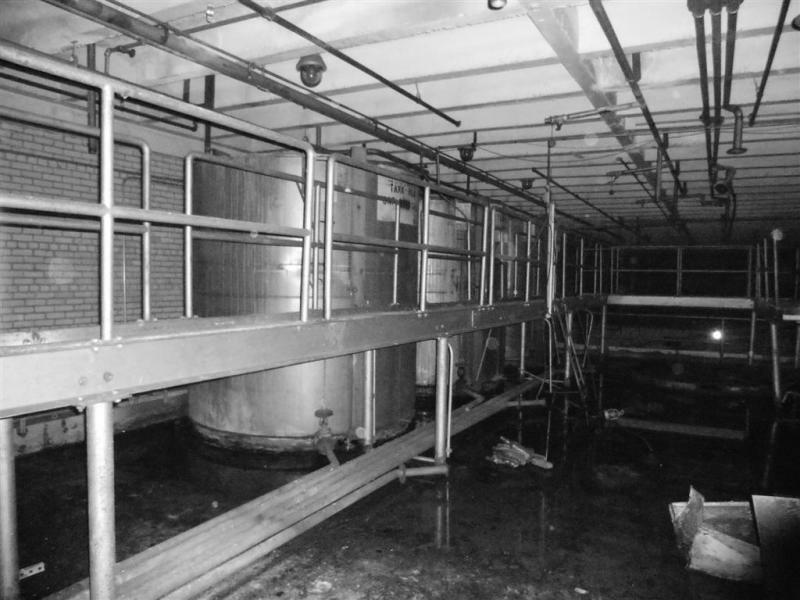 The tank platform at the wall going into Room B where the bottling starts. 4. 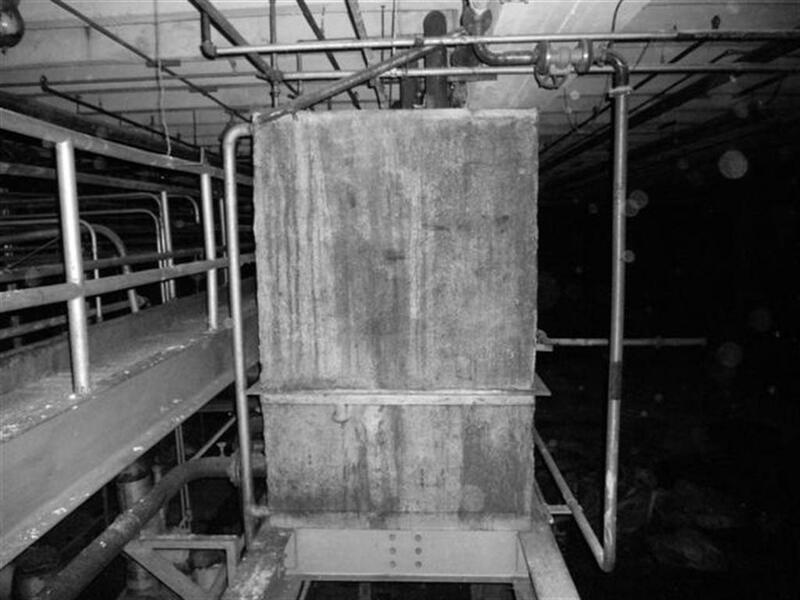 A safety overflow basin below the tanks on this platform. 6. 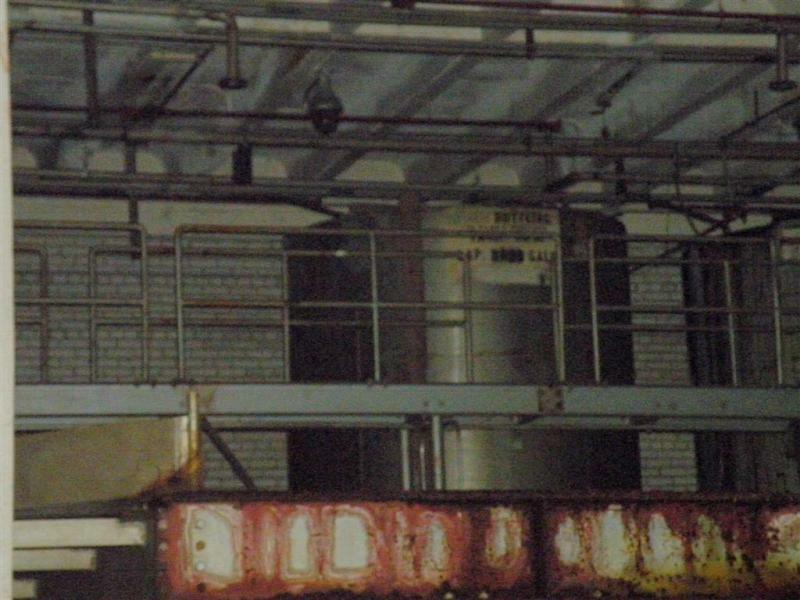 One of the many tanks on the platform. 7. Another tank showing capasity. 8. 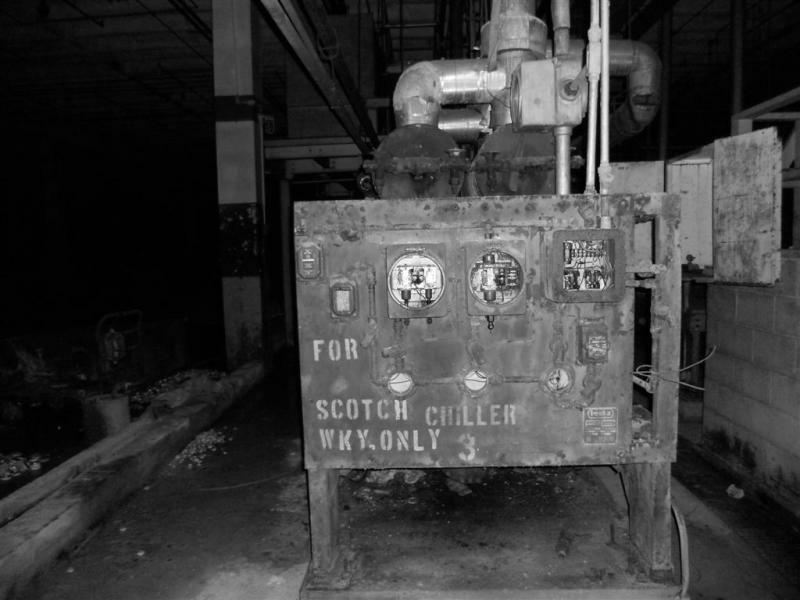 The Scotch Chiller near the back end incoming Tank platform. 9. 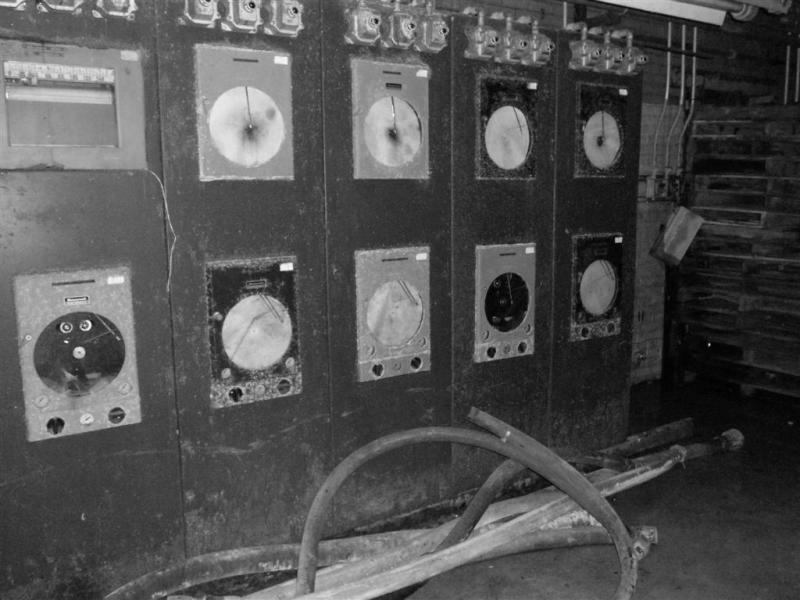 The Honeywell quality chart disc machine near incoming tank wall. 10. 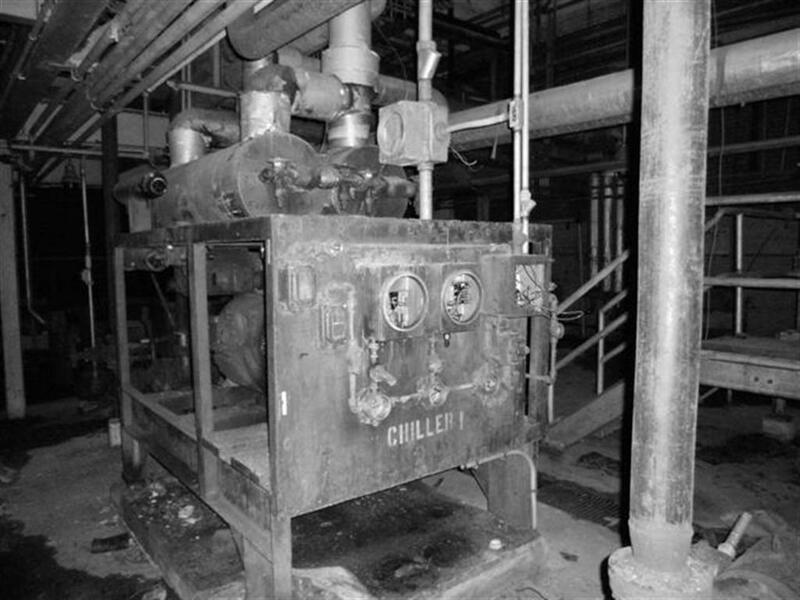 Chiller lines coming in from outside. The next 3 pictures were taken with the P-90 in color. 11. Looking down through the bottle house were the 11 lines once ran complete. 12. 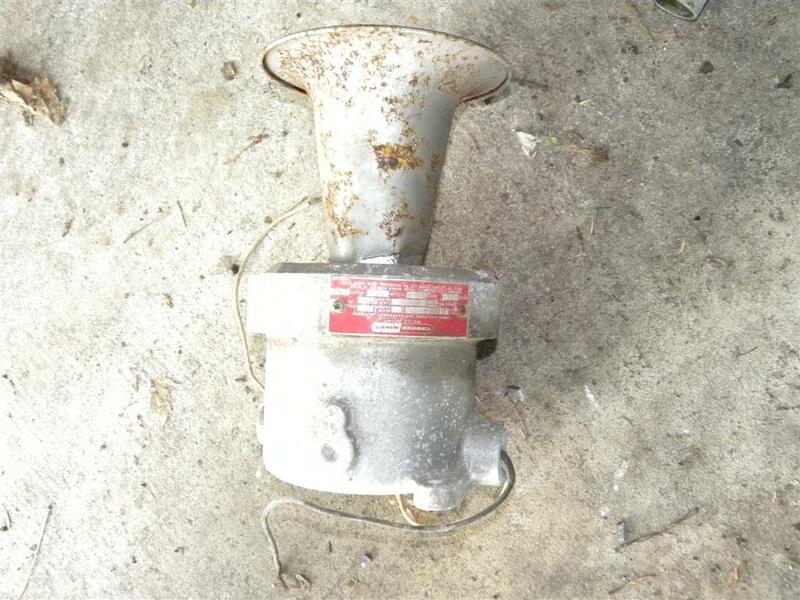 A Explosion Proof Crouse/Hines Emergency Siren I was able to save. 13. 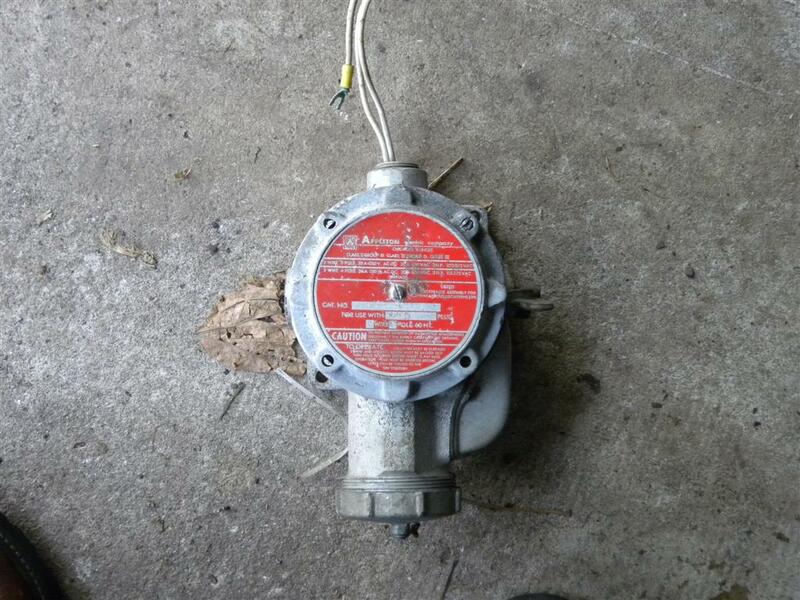 An explosion proof Appleton switch off/on for pluging in chargers for fork lifts and other explosion proof Cords. I really like being able to shoot the place in mostly black white the pictures are very crisp and life like. I have many more to post here and on the memory Thread this week if i do not run out of space I hope these are an enjoyable part of History to all of you. I feel very Fortunate too be able to to do this for History it is a work of Love for a place remembered deep in my Heart! Hi Dave, just had to comment about pix #7. Frog and I were unloading tank trucks of window washer fluid into this tank one day. There isn't too much clearance between the top of the tank and the ceiling. Par for the course at Publicker, the gauge was broken on the tank so we had to keep an eye on the level in the tank so it did not overflow. We were standing there talking and both of us almost passed out from the fumes, which were very strong. We had to get out of there in a hurry. They gave us some God awful masks to wear and sent us back to work. Sandie thank you for the stories they make this thread and all of the threads more real for people to read with the human touch of stories and that is what this is about the stories of Publicker / Continental and Kinsey they are stories of people and the great jobs they did for a great company! 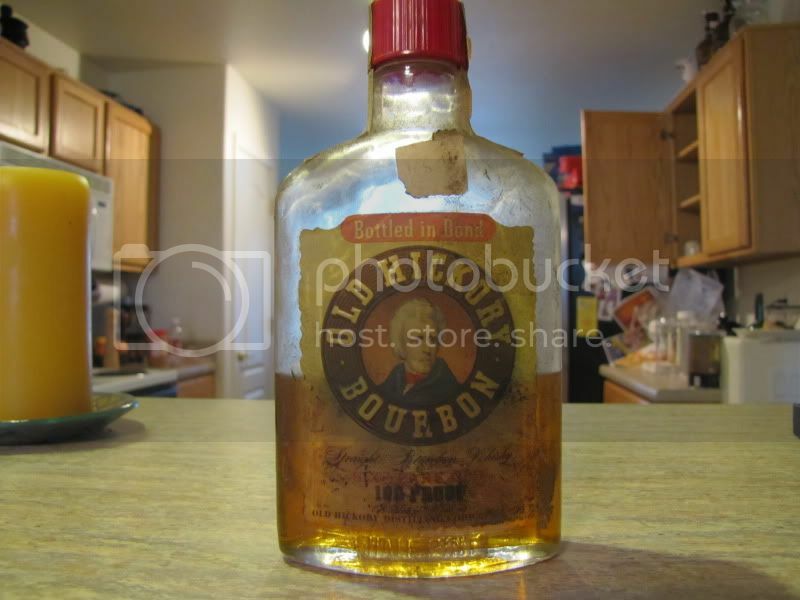 Last week I Bought an old County Fair Striaght Bourbon bottle on the web because it looked different then the ones I remember. I got it on Sat and to my surprise it was one of a Kind I have never seen or gotten it was one where we distilled the whiskey in Phila at DSP-Pa-1 and then tanked it out to Lemont ILL when it was 4 years old 1963 distilled / bottled 1967 BIB. The back label has distilled DSP -Pa-1 bottled DSP-ILL-53 so now I have that plants number and a bottle from there. I will take a Picture of it soon and post it. 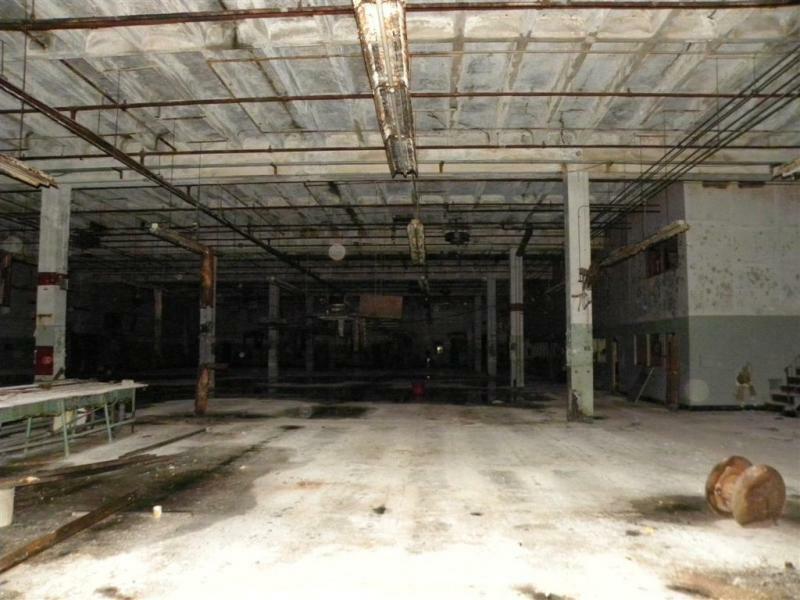 I have had so very little Information about Lemont ILL bottling and also our Chem Plant in WesWego La that it was an exciting find for me. here are some more pictures from 3 weeks ago in Black and white in the bottle house. 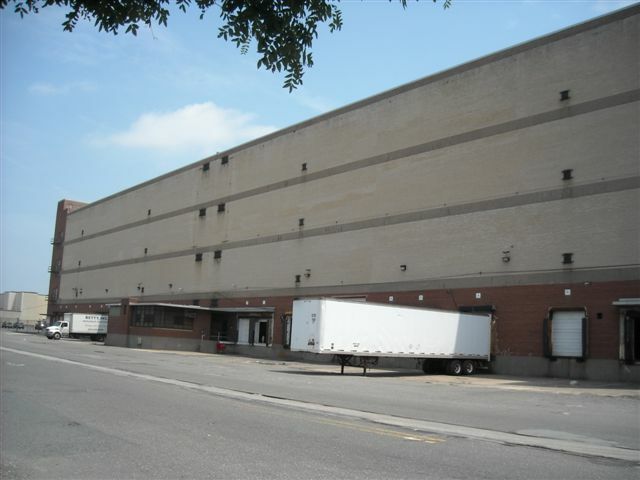 And a warehouse shot. 2. 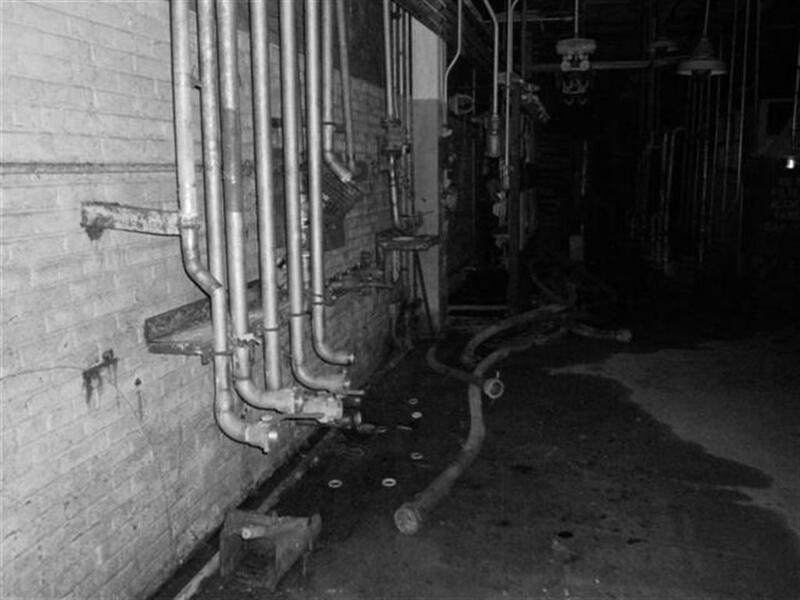 Start of Bottling Line A-1-F which was an early computer driven Bottling Line room A. 5. Another Chiller for Regular Whiskey coming in. I have more yet to post soon. In talking to my Friend who was a upper level manager at Publicker we got talking about Inver House Scotch. 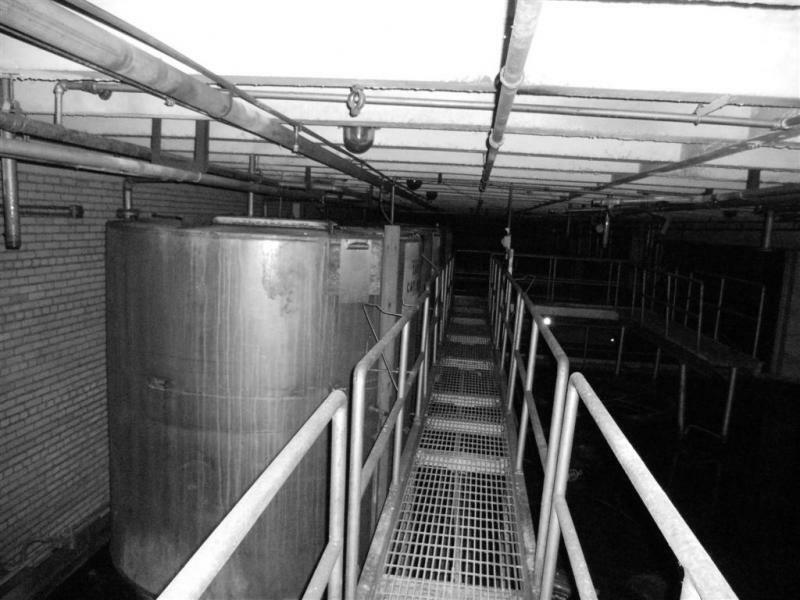 And every drop of Inver House green was bottled at Kinsey and the water used in the product came from our deep wells there. By shipping over in barrles and it being bottled here much cost was reduced and the Customer in turn got a Scotch that was afordable in the USA! I expect to take him for a walk through the plant in the near future. He hates the thought of what has happen to it as he too Loved the place but wants to walk around and tell me stuff about the place from back in the day. He is also thinking about writting a book about Publicker some day. Yesterday I got some more rare pictures from my Friend who was in Top management for Publicker, all the pictures I post at one time hung at Publickers 16 story Headquarters on Walnut Street in Phila. 1. Picture one is the only exsisting Picture of Steers at Kinsey Distillery eating Mash from DSP-Pa-12 still. 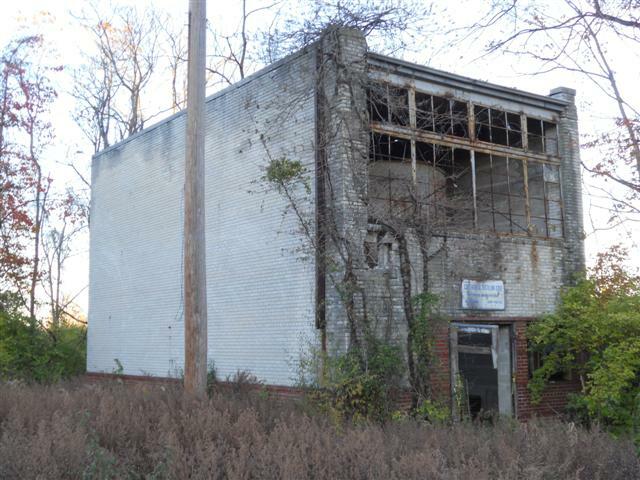 When I worked there the pens were still standing in good shape they are long gone now. 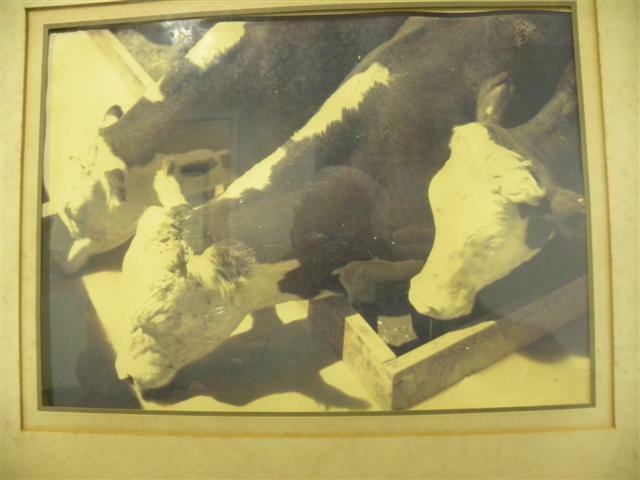 This picture was taken at the begining of WWII Publicker raised these steers to go to feed the troups during the war! I did not crop this one as did not want to cut off any of the Picture. 2. thru 5. These are oringinal pictures taken during what was called the Potato Project on an old Blueprint I found at kinsey a couple of Years ago and never knew what it was about till these pictures. 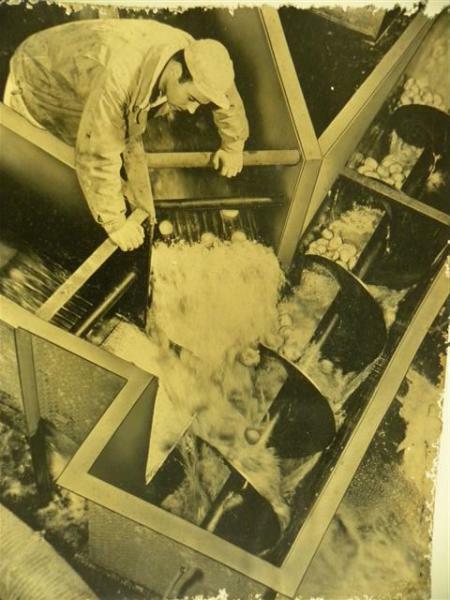 These are the surviving 4 of 8 originals of photo's showing potato's that are from Maine being processed to be made into Potato Flour to feed starving people in Europe after WWII ended. 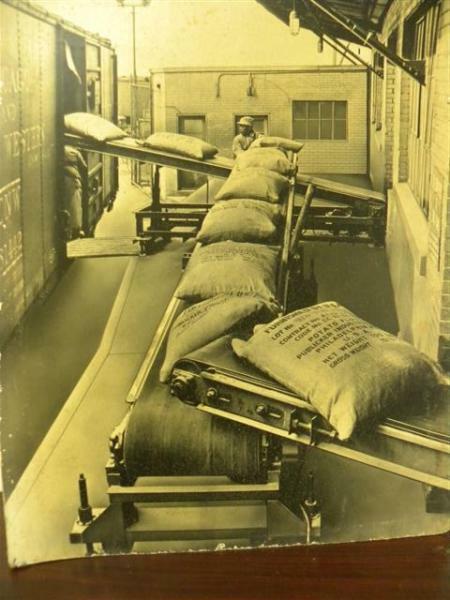 This whole thing was done at Publicker and the pictures show the potato's coming in getting washed to go to the grain dryer and then the Potato Flour being Bagged and then shipped. 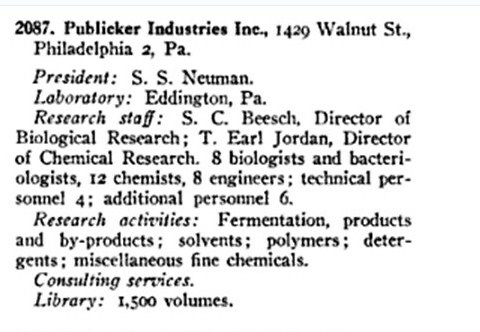 As I have said many times Publicker was very Proud to be an American Company and did all they could to help to win WWII. I cleaned these pictures up as good as I could and after taking Pictures sealed them in Clear Heavy Bags to kill any surviving Silver fish to preserve them. 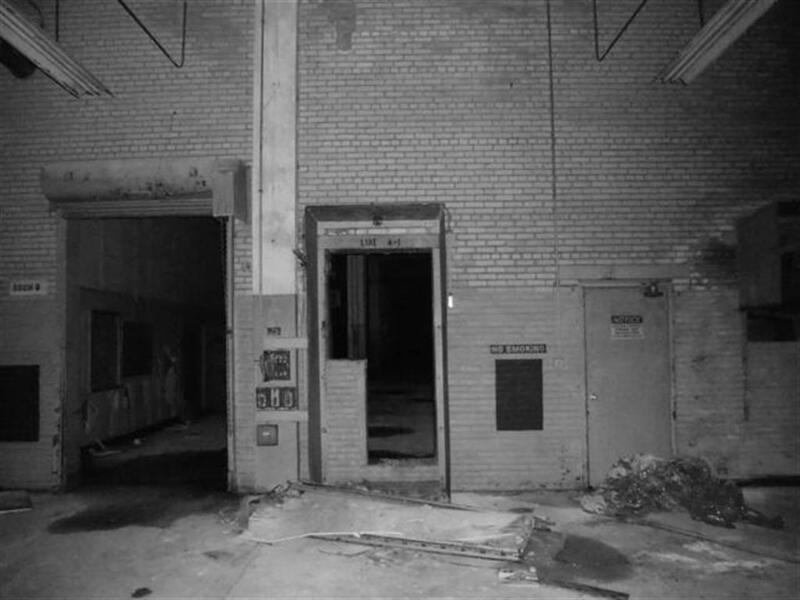 With out my Friend taking them to his old Building back in 1979 These pictures of history would be gone for good. 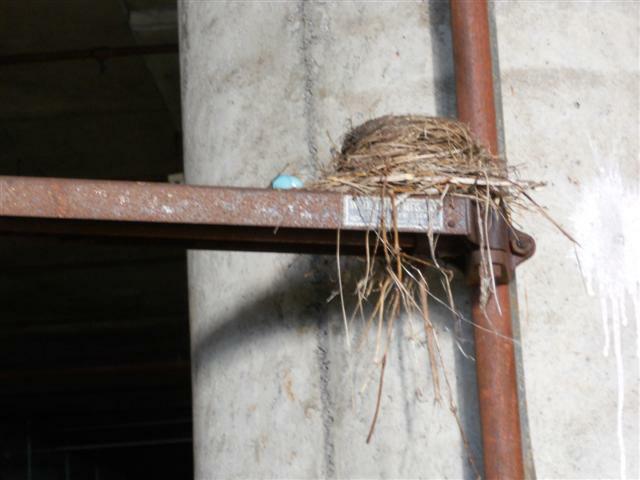 They may be in bad shape but if He had not grabbed all he could they would be in the dump all those years ago as the people who did the hostil takeover were going to have these tossed into a dumpster after Mr Neuman was gone. 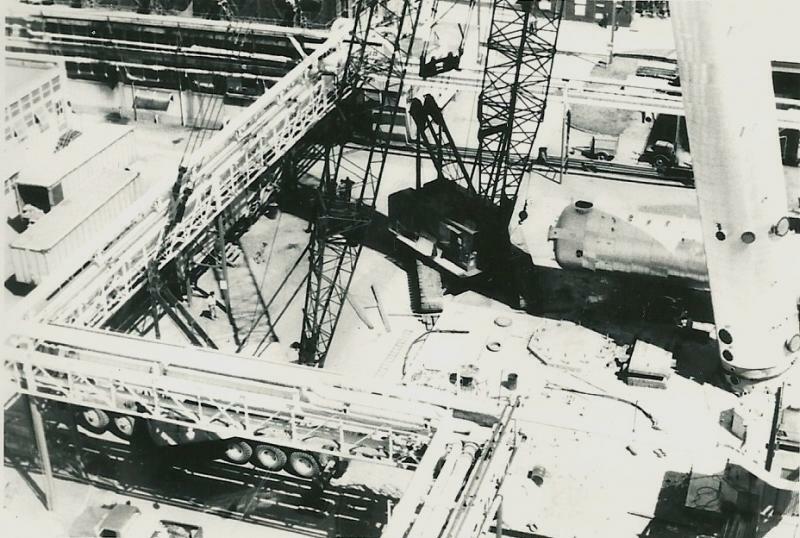 These Pictures make up the History of Publicker and hung on all 16 floors of the Headquarters. I hope he will let me take a shot of Harry Publickers Office as he has one. Well last night I posted some one of a kind Publicker History pictures on the Memories thread so after looking here please go there if you have not yet. 2. 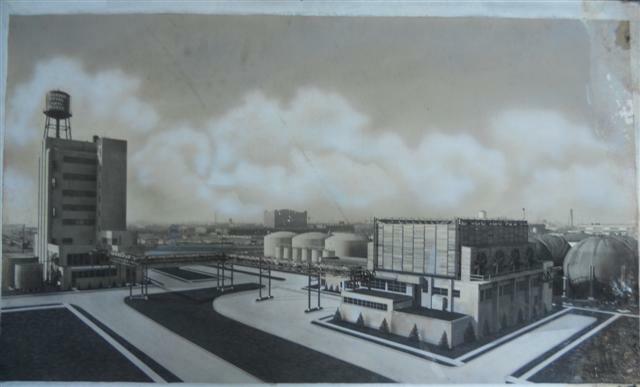 The Snyder Ave Plant during the early 1940's look at the cars like the earlier Picture I posted with the 1930's cars on the memories thread the other day Butch just e mailed me this was Snyder Ave Plant. 3. Shot of The Bigler Street Cooling Tower per Butch. 4. Inside one of the buildings I am waiting to hear from Butch what part of the plant this was in. 6. 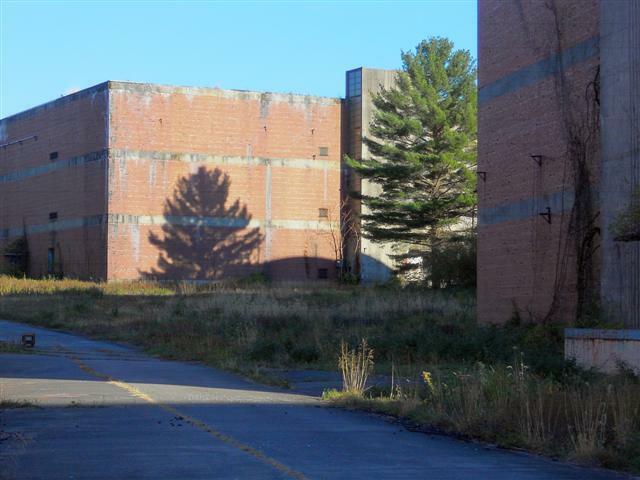 Another picture I got yesterday of the of the Bigler Street Plant shot from the River Butch says late 1940's / early 1950's has the building that exploded in 1953 on it. I Will be posting again in a couple of days to make sure everyone sees todays pictures here and last nights pictures on the Memories thread. I wonder if any of the current Inver House Scotch bears any resemblance to the imported stuff Publicker sold. Besides the Pictures I posted Sunday night I will be posting some pictures of rare Bottles soon also. Saturday I spent the time before I went to a flyers game tranfering Original Haller's Philadelphia Rye Whisky Bottled in Bond from the bottle it was in to a clean Old Hickory Bottle I had fom my last Old Hickory. My friend who was in a high up position at Publicker gave me the Bottle and the whisky was fine but the stopper cap was broken off and the cork was starting to go bad in pieces but not open yet. I took the whisky and ran it through a brown coffee filter to get all the cork and and chance of dirt out of it. 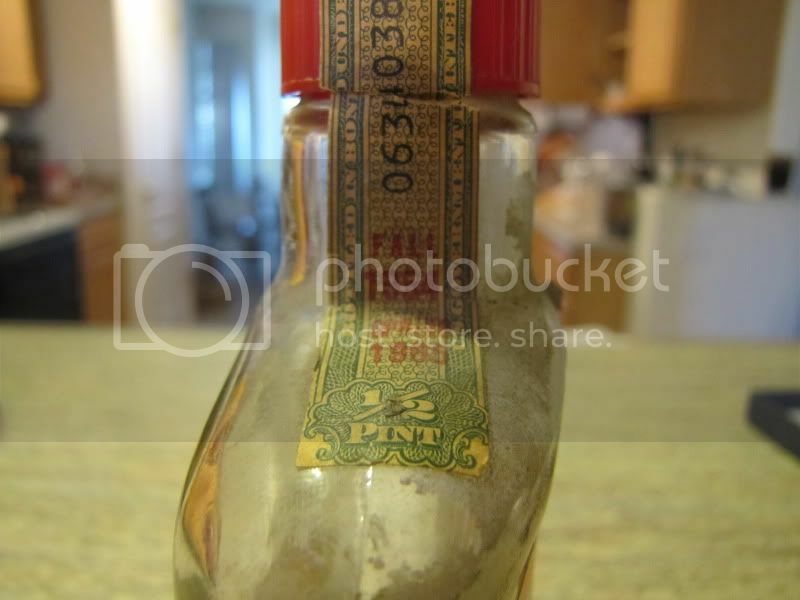 The Bottle only has one lable and is emobossed and dated in the 1940's before Continental bought Haller's. As far as the Rye Whisky I had a sip and it is awesome. I also got a bottle of Original Rittenhouse Rye 1950's BIB which was ok to leave in the bottle and 3 pints of Haller's County Fair made by us Distilled 1946/ Bottled 1950. I had gotten one earlier and have tasted it and it is wonderful. I have cleaned the 3 bottles up and will use as needed by getting the stopper out and putting it in another bottle when the time comes. I also have an original Charter Oak Striaght whiskey from the 1940's. I find these old Rare Whiskys to be wonderful. But It is a timely thing transfering the whiskys to Bottles that have not sat in a dark dump garage it takes alot of scrubing with Rubbing Alcohol and windex to get the bottle clean enought to get the whisky out and to save the bottle for History as the Bottles are also rare and they go into my collection which when I am gone will go to Museums for history. Therefore I restore each bottle with loving care to be as clean and original as I can. Please check out the Memories thread as I posted some pages from the Continental Distilling Whisky Survey Book it is very hard to get pictures as it is dirty and I have to clean each page as I go of dust and silver Fish. So if any are out of focus it is because I have to climb above the book it is 25 3/4 by 24 wide by over 3 inches thick. It has hundreds of pages and I started at the begining, there are blue prints of every Distillery in America during 1936 and the Book weigh's about 30 + pounds. Sadly I saw in the paper today that William "Bill" ( Windy ) Ewing died Bill was a very Kind man who talked alot, Hence the Windy nickname and was a very hard working Man! He was one of my First friends when I started at Kinsey but since there is to be no funeral I can't tell you how many years he worked there but I am guessing at least 30 +. I had lost track of Bill and was trying to find him lately but never did find out where he moved till today in the paper it said he lived in Phoenixville. 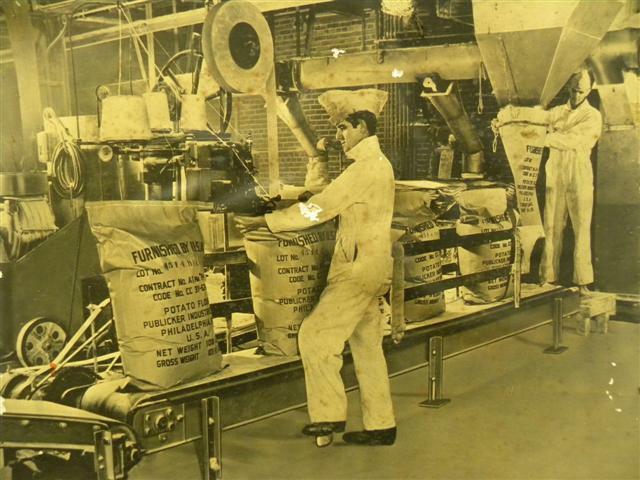 When He worked at kinsey like many people he lived in Linfield near the plant. Kinsey always tried to hire local people and there were many of us. 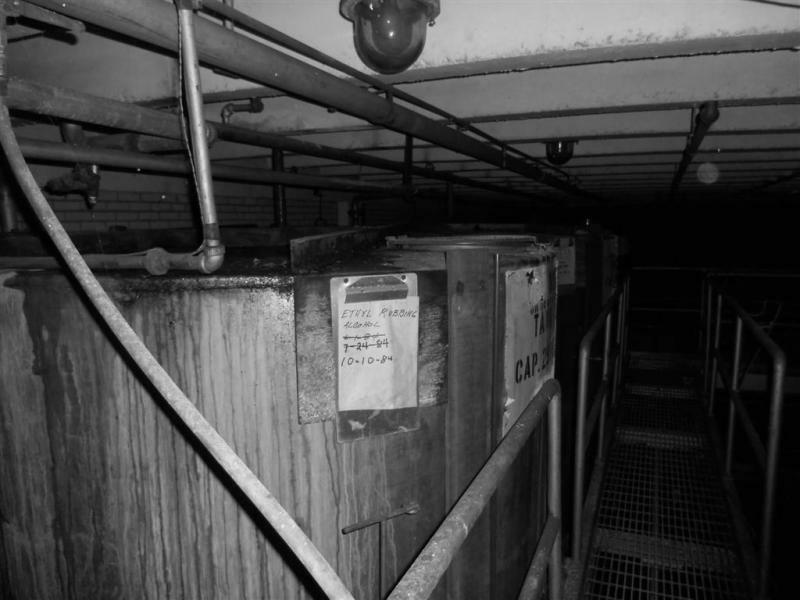 Bill was a warehouse guy and rolled millions of Barrels of Whiskey in his time there. He did every job there was in the Warehouse dept including driving the Old 1941 Ford Flat bed trucks hauling Whiskey barrels. As each year goes by there are less of us around and it is all the more important to me to continue to tell and show the Kinsey Story. Bill was one of Hundreds of Hard working Continental Distilling people and was one of the best at rolling barrels to be perfectly set for the bung to be down on the trough in each spot for dumps. We were like a family working there and days were fun even when we were working hard. So I ask that everyone who reads this lift a toast to Windy Ewing. Time is coming there will be none of us. 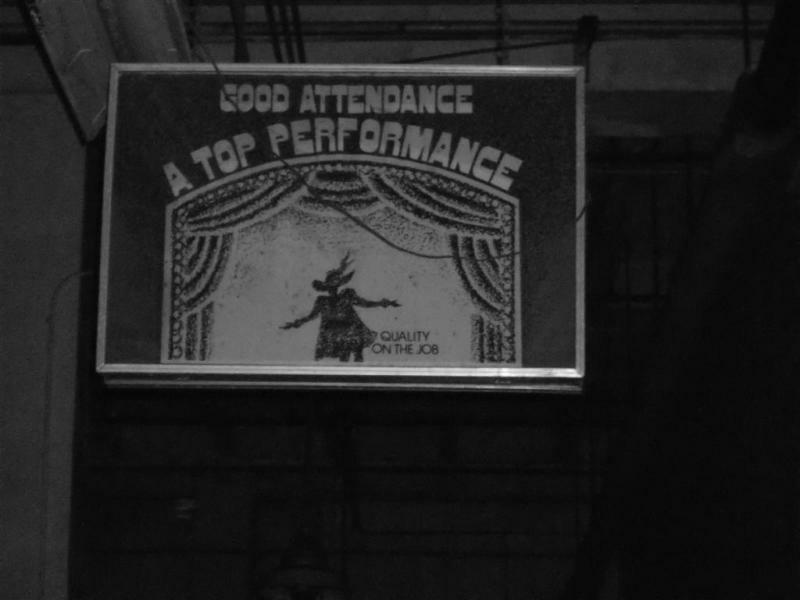 I am going to post a couple of Shots I took yesterday at Kinsey and a picture of The Old Sign I brought home and saved from Warehouse J. 4. A singer Bottling Machine with trees growing in it on the front dock of the 1966 Bottle house. Every time I go there I feel sad but I also want to get as many different pictures now and back in the day as I can so people can understand what it was like to work at Kinsey in those great years! My friend who worked for Publicker in a high position and I just walked and remembered and took some pictures in the clean air coming up from the river like in days of Old! Every year when I get a chance to walk inside the Old 1966 Bottle House this time of year I see the old Christmas decorations laying there never to be used again by people who are gone from the place and some from Life. Their Memory will go on as long as I can write of those days. It makes me think how we must enjoy every day as they go by so soon. Last week walking there lay the old Christmas balls and other stuff trashed in Bottling, but the memories of Kinsey will live on here hopefully for a long time. Then when I went up to O Building upstairs lay the Old Christmas Tree the Government Men put up every year. Thanksgiving and Christmas were very busy and a good time back in the old days and the trucks and rail tankers just rolled in every day. Kinsey was a special place to all who worked there and to Si Neuman who kept it looking like a park all through those great days! 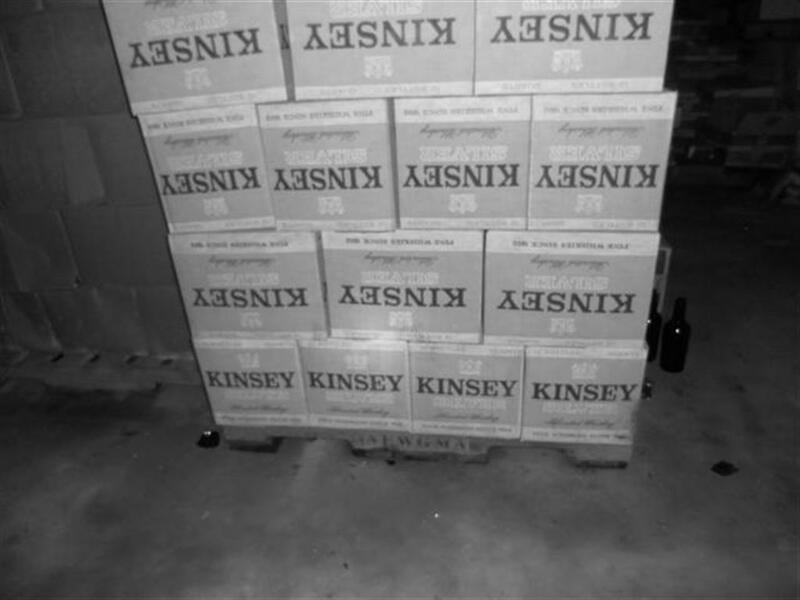 I lift a toast to Christmas's Past at Kinsey!! Last night I called my Friend Butch who worked for Publicker from 1967 till 1977 leaving when Mr Neuman died having in his mind this would be the end of Publicker! He told me not one of his old friends from the Phila Plant ever has anything but good things to say about working there. Also He told me everyone he worked with ended up in very high paying jobs because of the great training they got from Publicker. He himself went to work for Allied Chemical which was a disivion of Sunoco. He had 30 yrs there and his trainig at Publicker lead to his great success! He is still a paid consultant for them in his retirement. When I meet people from The Publicker Afiliates family I have yet to ever hear anything but good about the company. Its ending was a sad and tragic thing brought on by Mr Si Neumans sudden Death. Once he died so did all the vision that made the company great and in 10 years it was all gone. I will continue to write of those awesome days and later today I will post 11 some good and sad pictures of Publickers Phila Plant I got from Butch on my memories thread. 1913 / 1986 may her memory go on for ever, her whiskeys were the best of the best and the people who worked for her were the type of people that made this country Great!